The New Castle Band department has a storied tradition. 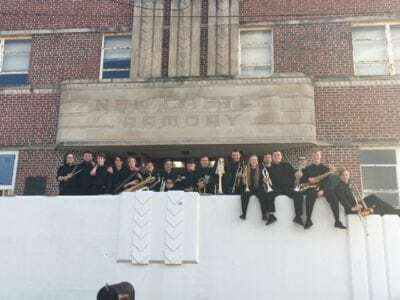 The concert and jazz bands are known for earning Gold ratings at the Indiana State School Music Associations contests. 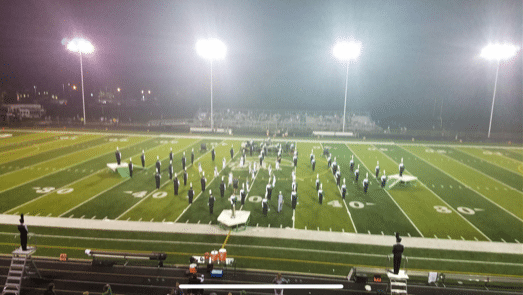 The marching band has been an ISSMA state finalist 19 times. The band has been selected to perform at Walt Disney World in parades on multiple occasions as part of their Magic Music program. The band has also been selected to and performed in the 500 Festival Parade. The band program has earned the ISSMA All-Music Award fifteen times and has been a part of the Total-Department Awards numerous times during that time frame. Fewer than twenty schools across the state earn the Total-Department Award each year. The Indoor Percussion Ensemble has earned two state titles in the Indiana Percussion Association. The New Castle Winter Guard program has had many state finals appearances in the IHSCGA state finals. Our Brass and Woodwind Choirs perform at many community events throughout the Christmas Season. Many of our students perform in honor bands throughout the state at both the middle school and high school levels. 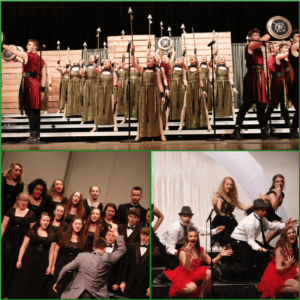 The choral program at New Castle High School and Middle School has a rich history of performing vocal music at a high level. Our choir family, as we like to call it, includes twelve different ensembles. From seventh grade through senior year each student has the opportunity to make music in a community and team-based environment led by our two choral directors. Our choirs regularly perform all across Indiana at ISSMA events and other festivals, have recently been asked to perform alongside Butler University and Ohio State University students, and perform in the Walt Disney World Candlelight Processional at Epcot during the holiday season every four years. 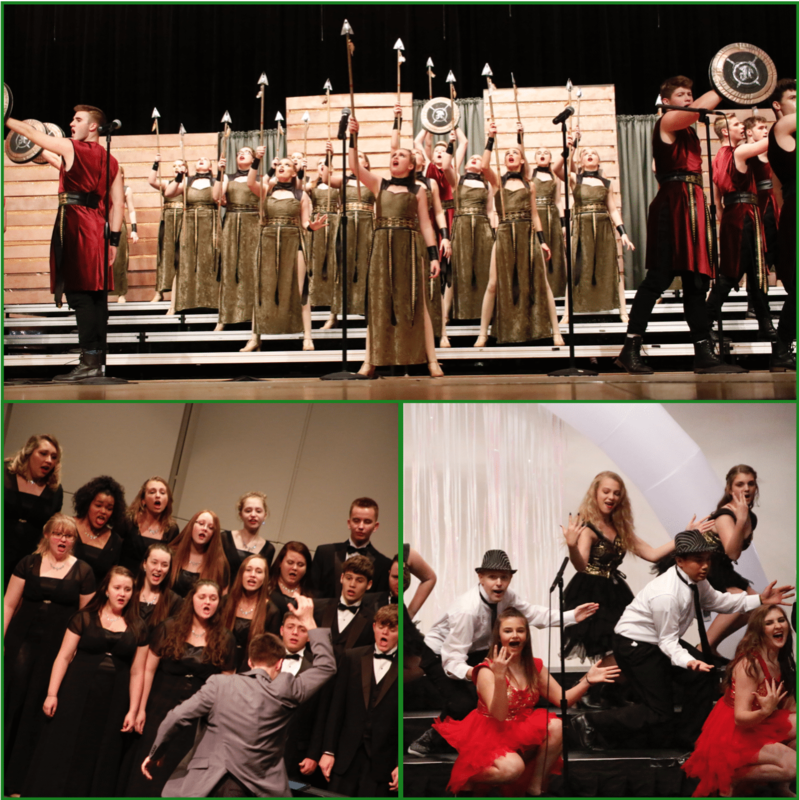 New Castle Choirs regularly receive gold ratings at ISSMA events at every level. We take soloists and ensembles to ISSMA state events each year. We have competing high school and middle school show choirs which consistently achieve high honors; our high school show choir, Red Hot Blues, received fourth place in the state in 2018! Our department, in conjunction with our outstanding instrumental program, is a thirteen-time recipient of the prestigious ISSMA All Music Award, ISSMA’s highest honor for a music program. Our successful program is due directly to the talents, teamwork, and supportive nature of our students, parents and directorial team. We hope you will come be a part of our choir family! 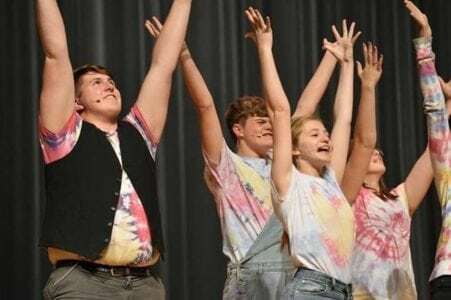 The NCHS Theatre Arts program is designed to provide young artists a chance to develop their craft. Through challenging coursework and guidance from a faculty of artist-educators, students develop their skills in all aspects of theatre. Each year the program offers two productions, giving students the opportunity to explore a variety of roles both on and off stage. The performance component focuses on several acting methods, designed to help the students explore their own unique resources. The program also offers a design and production component that provides pre-professional training in all aspects of technical theatre. The faculty and staff of the NCHS Theatre Arts program have decades of experience as theatre educators, directors, actors, and designers. 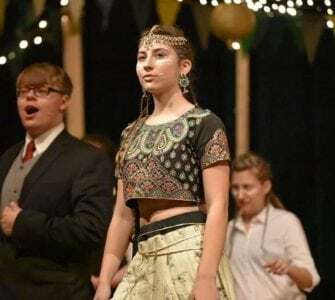 With connections to college, community, and professional theatre, each member of the staff strives to provide students the knowledge and confidence to grow in both performance and technical theatre. With alumni professionally working in both stage and film, the NCHS Theatre Arts program prepares students for success in university, conservatory, and professional theatre.